A current issue in Nepal is water. In many villages the water is not clean and creates a lot of sickness for the local people. Bottled water is sometimes available but is too expensive for most people to afford. Over the past year we have had the great pleasure to hand out over 200 filters to people in need. these filters were made by Filter of Hope www.filterofhope.org and have worked exceptionally well. These filters will give families clean water for 10 years and can clean over 150 gallons a day! We plan to continue to distribute these filters all across the villages of the Himalayas! 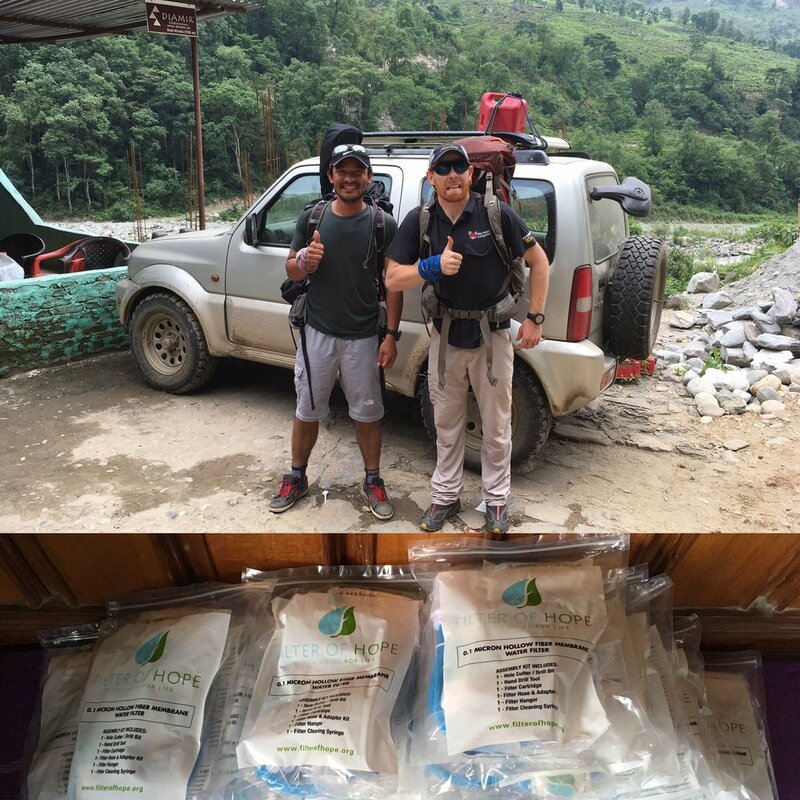 Thanks for supporting us as we #makeadifference in Nepal! Our next planned places to give filters are Helambu, more filters to Tsum in 2018, Nar Phu, and Sankawasaba. Join uis in our effort by aking a trek with us! Filters handed out in Mustang in 2017.